The Earl of Rochester is becoming increasingly recognized as a major poet of the Restoration Period. This book explores the full range and variety of the poet's work. The book is split into three sections. The first group of essays offer complementary but contrasting interpretations of love and friendship in Rochester's poems and letters. Next, multidisciplinary essays firstly survey the extent to which Rochester's love lyrics inspired composers up to a century after his death, and, secondly, explore the satiric significance of the famous "monkey portrait" of the poet in the National Portrait Gallery. The third group of essays focus on the major satires and Rochester's contribution to the Restoration theater. Nicholas Fisher is a doctoral student in the School of English, University of Leeds, and a police inspector serving in Manchester. 1. That Second Bottle: Essays on John Wilmot, Earl of Rochester. Edited by Nicholas Fisher. 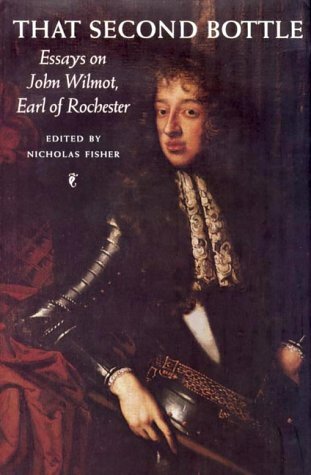 Rochester, John Wilmot Second Earl of: 1647-1680] FISHER (NICHOLAS), editor.